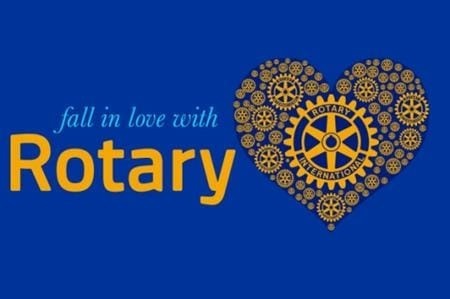 The Rotary Club of Peachland is organizing the first (we hope of many) wine tasting events showcasing wines from West Kelowna, Peachland and Summerland on Saturday 27th April, 2019. 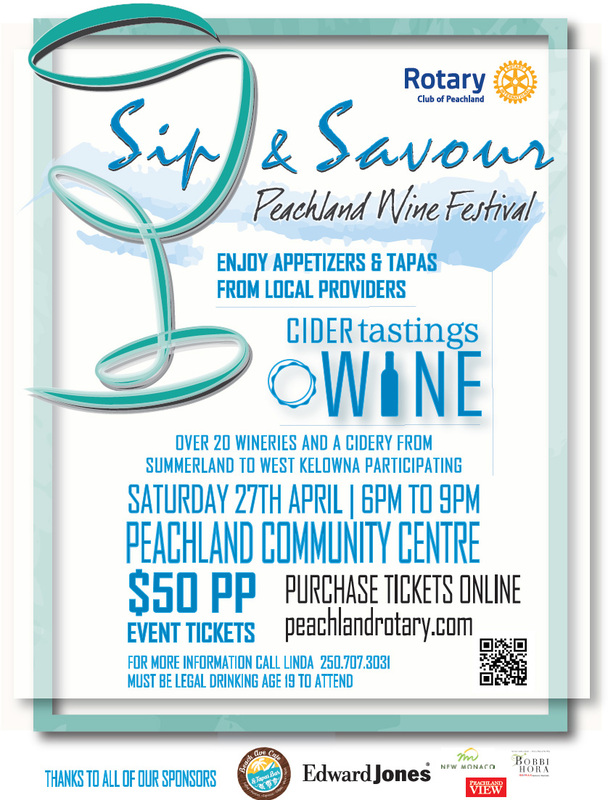 The Wine event is called “Peachland – Sip and Savour Wine Festival” and takes place in the Peachland Community Centre, 4450 6th Street, Peachalnd, from 6:00-9:00 pm. Proceeds raised will go toward a number of local and regional projects that directly assist children, youth and adults in need. 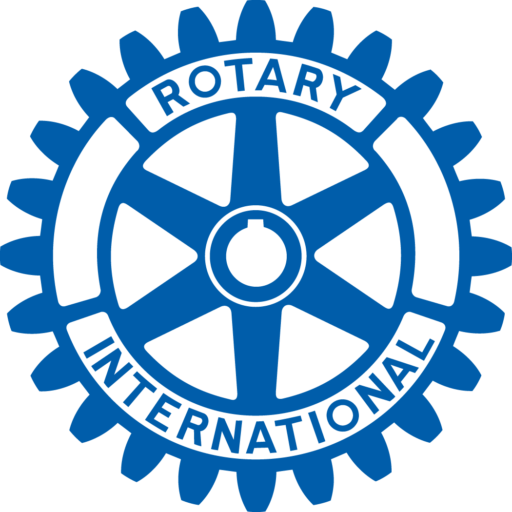 The Rotary Club of Peachland is a completely volunteer driven organization with no administrative costs whatsoever so every dollar raised goes toward helping others. 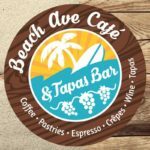 Our first year of this event will include hors d’oeuvres/tapas provided by local restaurants and/or local caterer and our projected number of attendees is 200. To view and print our flyer click here. Tickets are $50pp which covers wine tastings and food. Click here to purchase your e-tickets (print at home or mobile ticket) online by credit card at Brown Paper Tickets. Please Note: There will not be tickets available at the door and no “will call” sales. Tickets are non-refundable. Attendee must be 19 years of age to enter the event. Questions? 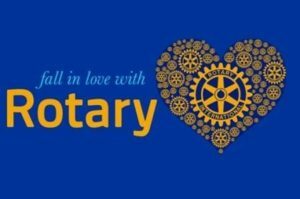 Contact info@peachlandrotary.com. 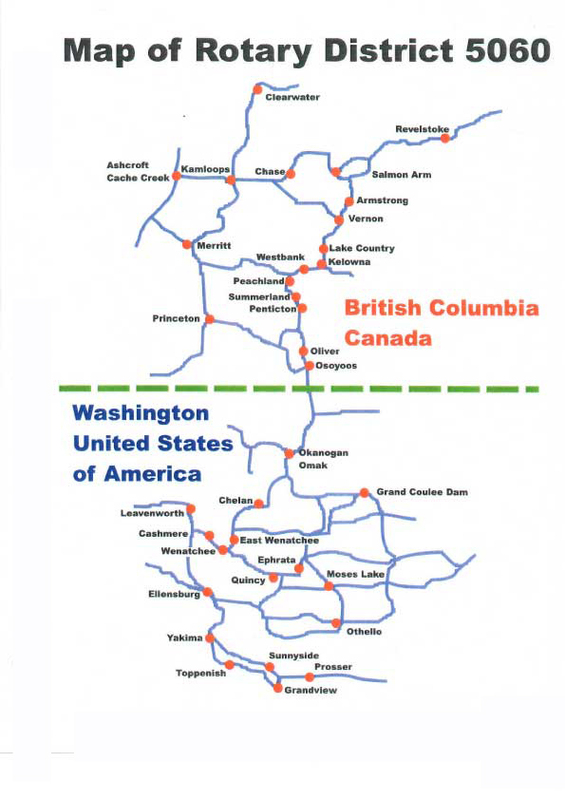 Join us at our weekly meetings at Noon on Thursdays at the Gasthaus on the Lake in Peachland. Guests are always welcome!